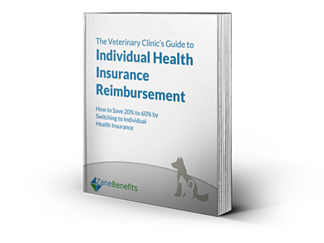 Zane Benefits, the leader in individual health insurance reimbursement for small businesses, announced today the publication of a new eBook, "The Veterinary Clinic's Guide to Individual Health Insurance Reimbursement." The guide helps veterinary clinics switch to individual health insurance reimbursement and offer excellent health benefits at a controllable cost. For veterinary clinics, rising healthcare costs make it more expensive to add new employees and puts a strain on their primary business - serving patients. With a reimbursement program, the veterinary clinic has a flexible, affordable health benefits program that helps recruit and retain the best veterinary staff.